Scents have become this new fascination of mine this fall. I don’t know what it is about them but whether it’s a perfume, a room spray or a memorable scent, I just cannot get them out of my head. My colleagues and I recently gifted a Diptyque candle to my boss for her birthday and I remember distinctly how different the fragrance smelled in the box as opposed to when she took it out of the box. It was the Diptyque Gardenia candle and we chose it because it was a bestseller at Holts. One of the freshest candles by the brand, with a romantic touch. This got me thinking about popular scents that people buy. One that we hear often is Santal 33 by Le Labo. It comes with a hefty price tag, but it’s also one of the most distinctive perfumes out there, and probably one of the most popular ones as well. I asked a girl in my class what she thought about the popularity status of Santal 33 when I recognized that she was wearing it. She said that it was still such a personal scent for her, as it was a gift from her mom, but that when she traveled to New York city she smelled it on at least five people in the same day. It goes without saying that scent is the most powerful memory trigger, so to her, Santal 33 will always be reflective of her own experiences. I still remember one of my first perfumes, Benefit’s So Hooked on Carmella and how obsessed I was with it. It was the first perfume that I though was a good match for me, it was sweet but still deep with sandalwood and vanilla base notes. If I go through my perfume history, some of the perfumes I enjoyed wearing were Harajuku Love, Princess by Vera Wang, and Nirvana Black by Elizabeth & James. I listened to a podcast episode of Outspoken Beauty with Sally Hughes all about fragrance and it was such an interesting and unexpectedly complex topic. Sally is a huge fragrance fan and she discussed about the most iconic perfumes, how she met her husband because of a perfume (he randomly asked her if she was wearing Diptyque Philosykos, and she was! ), and the different ways people engage with fragrances (only wear one or alternate depending on the mood). I also read this post about how to curate the perfect perfume wardrobe and it was fascinating! Part of me also wanted to do this post to share my love for a fragrance I’ve tried many many times now (but I can’t justify the price); Byredo’s Mojave Ghost. I’ve never smelled anything so haunting and beautiful. I have tried it a few times last year, and also almost everyday at the Liberty counter during my last trip to London, so now this scent reminds me of this time. 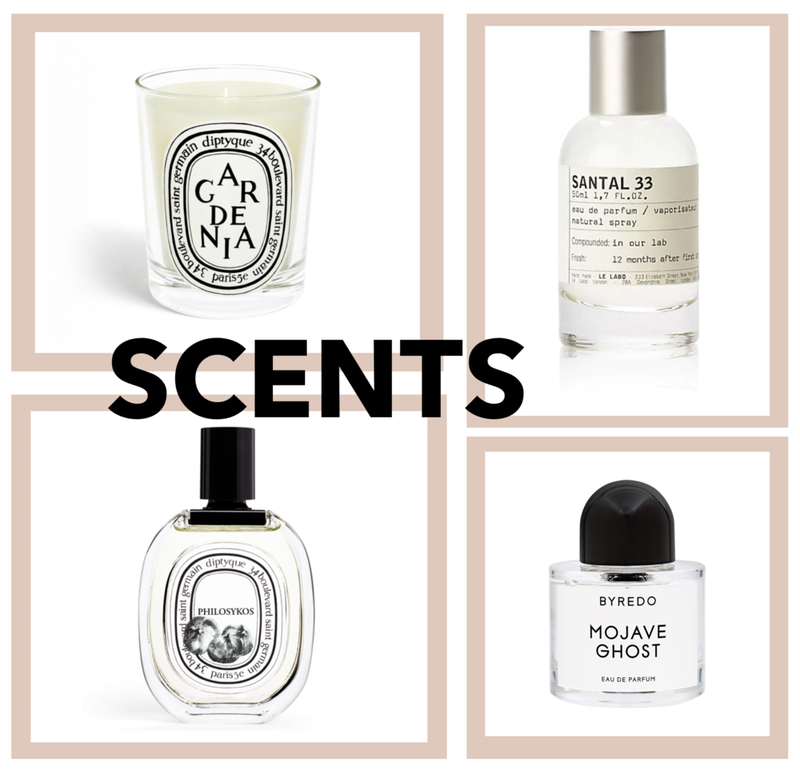 Maybe one day… Also another Byredo smell I adore is their Burning Rose candle, which reminds me of the Glossier pop up, and I want to treat myself to it (or ask for it as a gift) when I get my first apartment. What is your fragrance history?